Employees, what are your rights if you suffer a gas field injury in Pennsylvania? The Marcellus Shale has been something of a gold mine for Pennsylvania. Of course, the process of obtaining the gas isn’t easy, and it is common for employees to suffer injuries during the strenuous efforts, including the fracking process, necessary to bring the gas to the surface. In Pennsylvania employees are protected under the Workers’ Compensation Act. It is this act that provides for you financially if you should become injured while employed at a Pennsylvania gas well. Essentially, workers’ compensation takes the place of the traditional lawsuit that most people think about when they want to obtain compensation for an injury. The Act makes certain that employees engaged in fracking or other gas field activities will receive money to cover their medical bills as well as a portion of their salary while they are unable to work. If you or a loved one works at a gas well, you know that drilling for gas is dangerous. There are many things that can and do go wrong, and it is the employees in the field who are most likely to be injured. 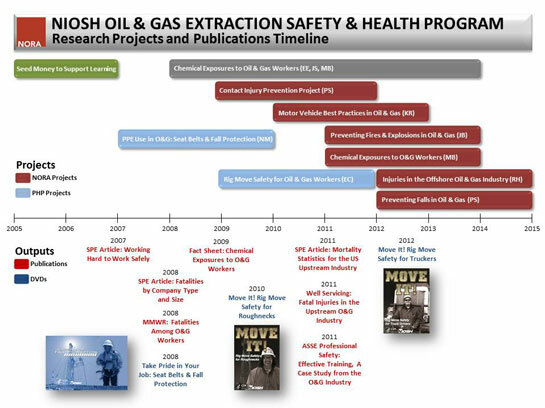 In a recent report, the CDC found that the, “leading cause of fatality in the oil and gas extraction industry,” is motor vehicle crashes. The single most important thing for you to remember is that if you or a loved one are injured as a result of your work in a gas field, that you have rights under the Pennsylvania Workers’ Compensation Act. If you are injured make sure that you immediately report your injury and seek treatment. Once you are safe, please speak to an attorney to make sure your rights are protected. The majority of Workers’ compensation attorneys will not charge you for a consultation. Nor will they charge you unless they are forced to step in to help you with your recovery. The second most important thing to remember is that even if your employer is cooperative in the beginning, it can seek to stop your benefits at any time. You want to make certain that you have an attorney who is familiar with your case when this occurs. Again, you should not have to pay an attorney just so he can familiarize himself with your case. You should only pay if the attorney works to help you obtain or restart your benefits.